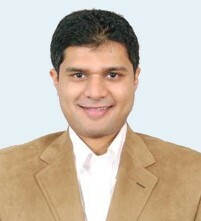 Nirman Shetty has over 15 years of work experience across multiple industries and functions, and at various levels of management. He currently spearheads NMC’s distribution business, NMC Trading, one of UAE’s largest distribution companies across pharmaceuticals, medical equipment and consumables, personal care, food and beverage, household care, education and veterinary products. Nirman spearheaded NMC’s foray into e-commerce as well. Prior to NMC Trading, as President – Corporate Affairs, Nirman was responsible for transforming the information technology, customer service and sales and marketing functions for NMC Healthcare. As UAE’s largest private healthcare provider, NMC’s 2,000 doctors treat over 12,000 patients every day. Nirman’s responsibility was to ensure that key components of the infrastructure that supports NMC’s clinicians were in place and constantly improving.